Hello friends! 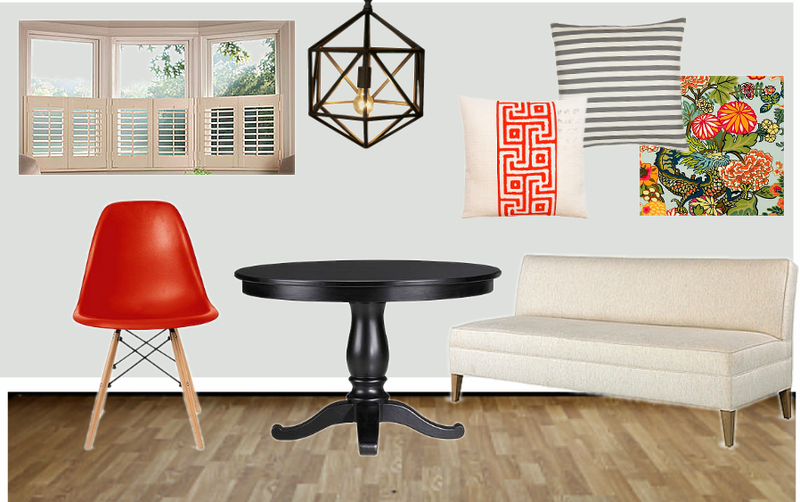 Today I thought I'd share a basic mood board I whipped up for a small space, the kitchen nook. I've been surrounded by some amazing design lately (in some unexpected places) and I thought I'd put that inspiration to good use. This board uses some simple and versatile pieces to add a little bit of fun. I'm in love with the geometric light fixture, and lately have been digging cozy little dining nooks with banquettes. They just seem so inviting and comfy - much more than a simple place to eat or pay bills. What features do you love seeing in your favorite (actual or dream-house) dining/living spaces?